A lean and mean performer. 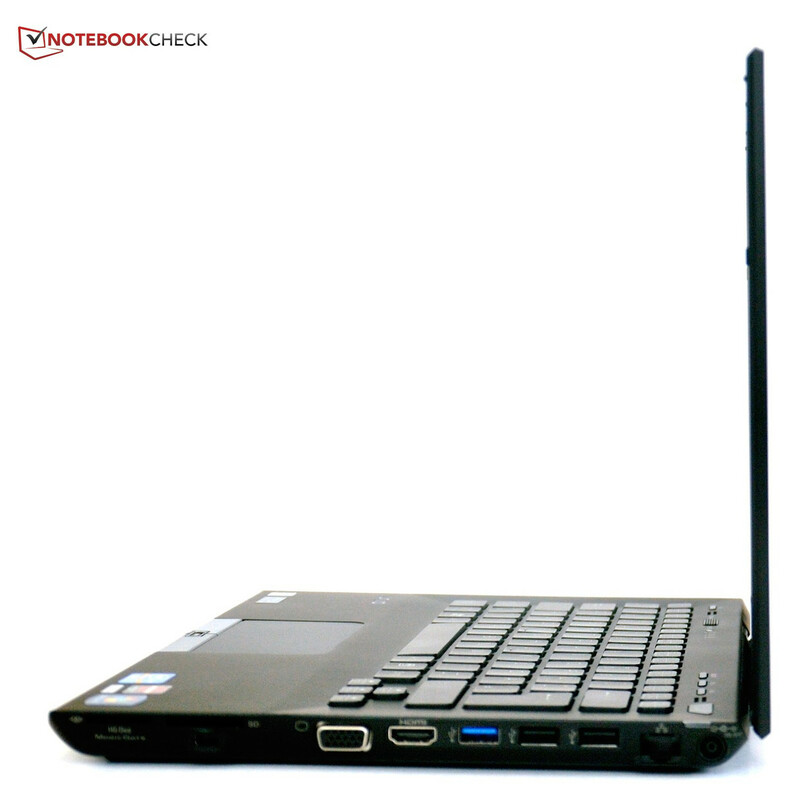 The latest Intel Core i7, a middle-class AMD graphics card and an SSD in an top quality upper-class subnotebook. 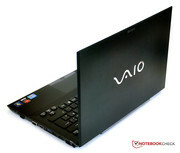 Can the Sony VAIO attract the target group?Does the Sony Vaio appeal to you? The Vaio SA series belongs to the upper price segment and strikes a fine balance between mobile subnotebooks and powerful workstations. The flat 13.3 inch case houses a powerful Intel Core i7, a middle-class dedicated AMD graphics card and a 128 GB SSD. 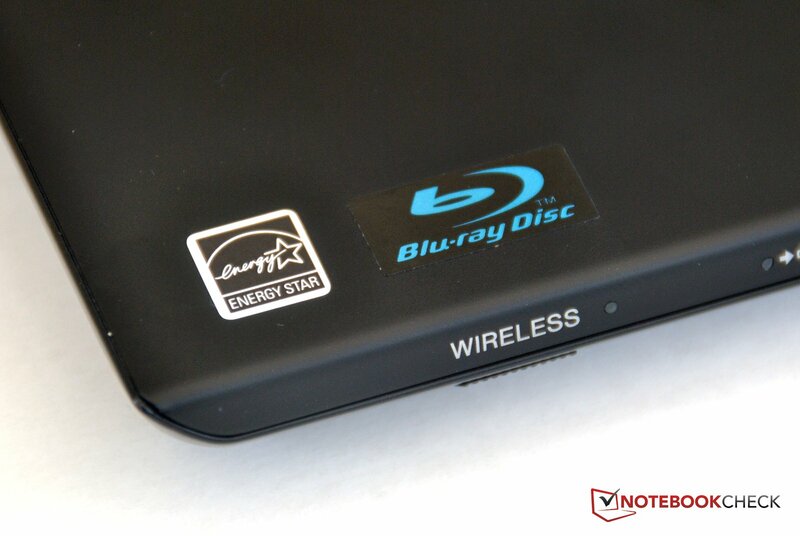 Many features can like a fingerprint reader, the UMTS module or the Blu-ray drive can be added on. 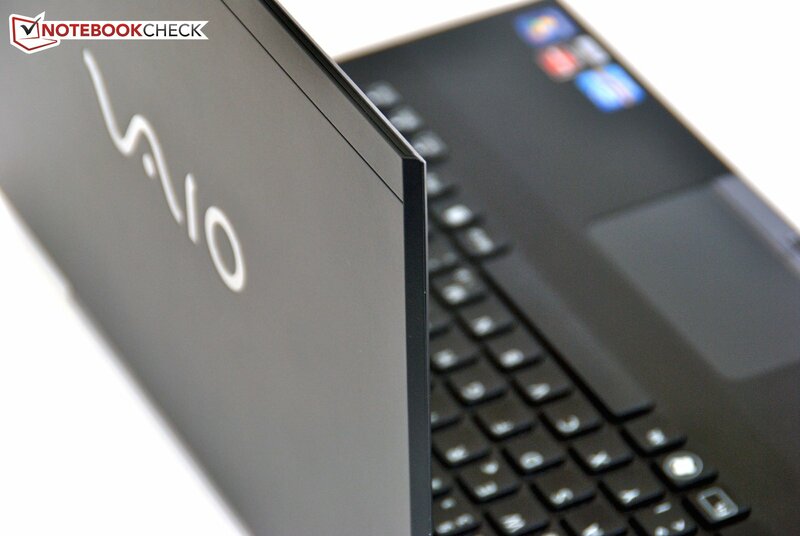 The VAIO costs a whopping EUR1800 (~$2200). 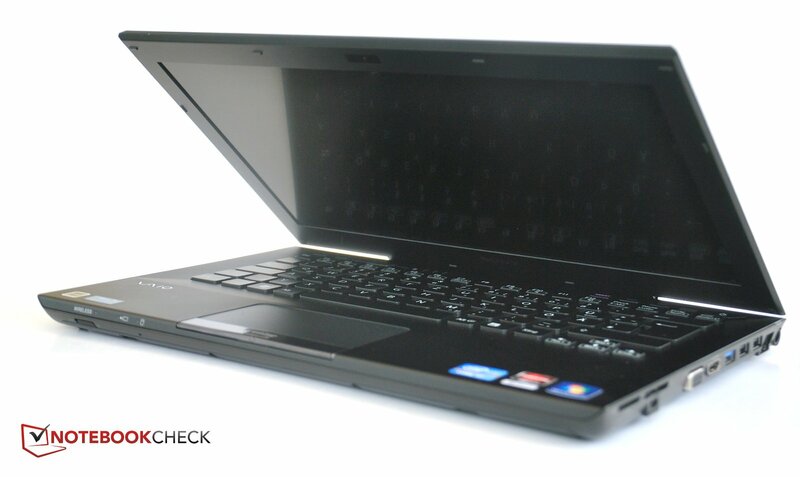 For such a price, it isn’t wrong for us to approach the laptop with high expectations. If the series wants to be taken seriously, it will have to show that it strikes the perfect balance between design and performance. This is extremely difficult to achieve as there have been many notebooks that have aspired for this but fallen short on certain important features that prevent them from being the best. Sony has given special attention to the case. The design is modern and attracts the eye with straight lines and matte black lacquer. 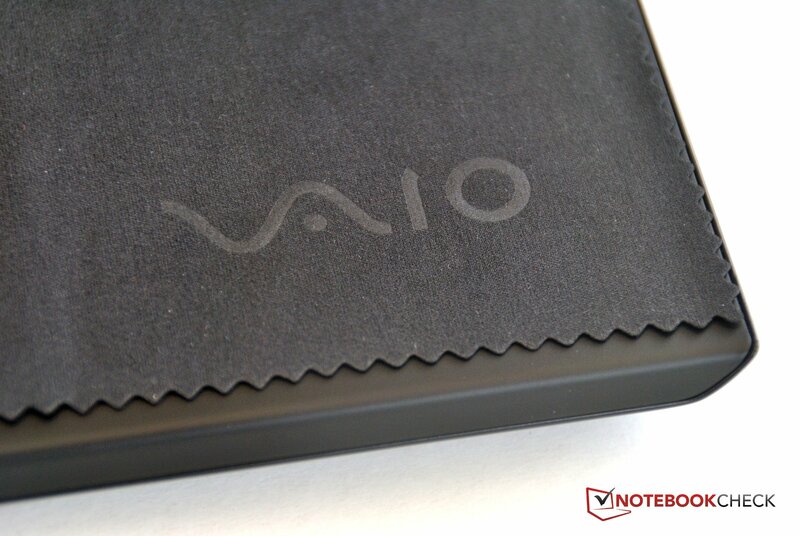 The silver VAIO logo is seated in the middle of the display cover. The hinges are hidden behind a shiny bar. The hand-rest regions are made of lacquered aluminum and the touchpad and keyboard are recessed. The touchpad has glossy mouse keys which can quickly accumulate fingerprints. The rest of the case is relatively resistant to finger oil stains and dust. The display cover is 7 mm thick and is moderately stable. It creaks uncomfortably when pushed inwards with both hands. The hinges hold the display in a good position, but there is a slight wobble. We were not entirely satisfied with the base of the laptop as it can be pushed inwards everywhere by just pressing on it. The bottom resembles a patchwork rug and consists of various small flaps and covers which house the docking interface, the second battery and the SIM card slot. 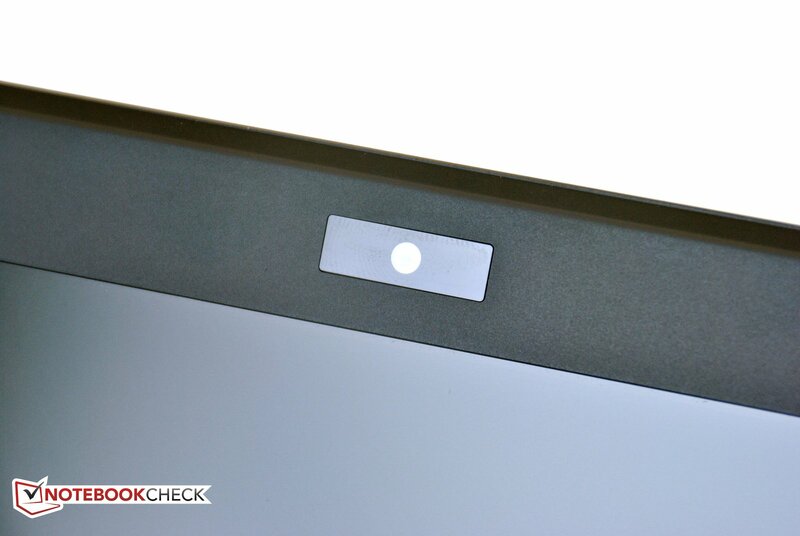 A large flap and seven stickers with license and serial numbers can also be found at the bottom of the laptop. 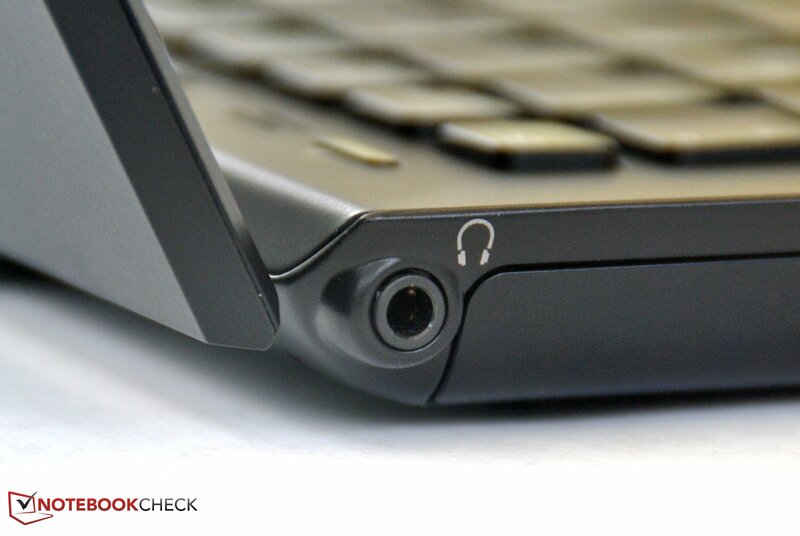 Except for the headphone jack at the back on the left side, all the ports are placed on the right side of the VAIO. This can be quite annoying for right-handed users who wish to use an external mouse instead of the touchpad. The connectivity is appropriate, but not amazing. The laptop has a Gigabit LAN port, 2 x USB 2.0 ports and a modern USB 3.0 port. The display outputs include the HDMI and VGA ports. At the front on the right side, two card readers for SD (HC) and Memory Stick are placed. The bottom has a docking port interface and a connector for a second, external battery. All the important wireless technologies are installed in the VPC-SA. 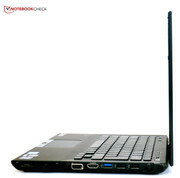 The user will be pleased to find WLAN a/b/g/n, Gigabit LAN and Bluetooth 3.0 + EDR in the laptop. A UMTS module is also integrated and can be used with an appropriate contract to surf the Internet. 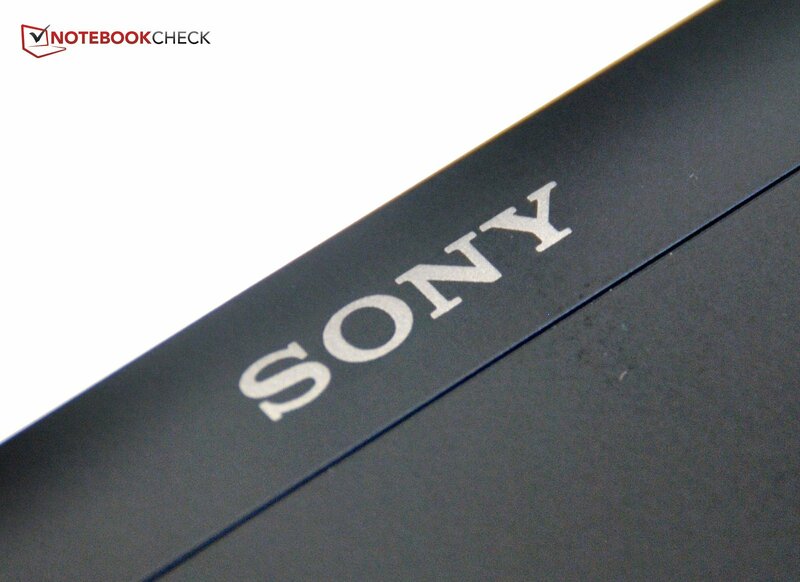 A fingerprint reader and a TPM module (Trusted Platform) are included as security measures by Sony. Sony installs a variety of programs on its models. These include McAfee Internet Security (test version), McAfee Online Backup and Microsoft Office Starter with Word and Excel. 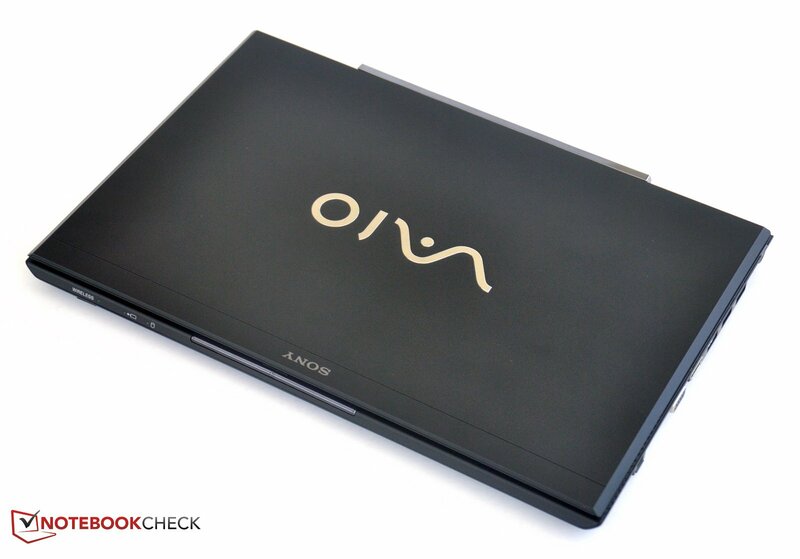 Sony's VAIO Care takes care of notebook maintenance. This software also reveals information about the VPC-SA. 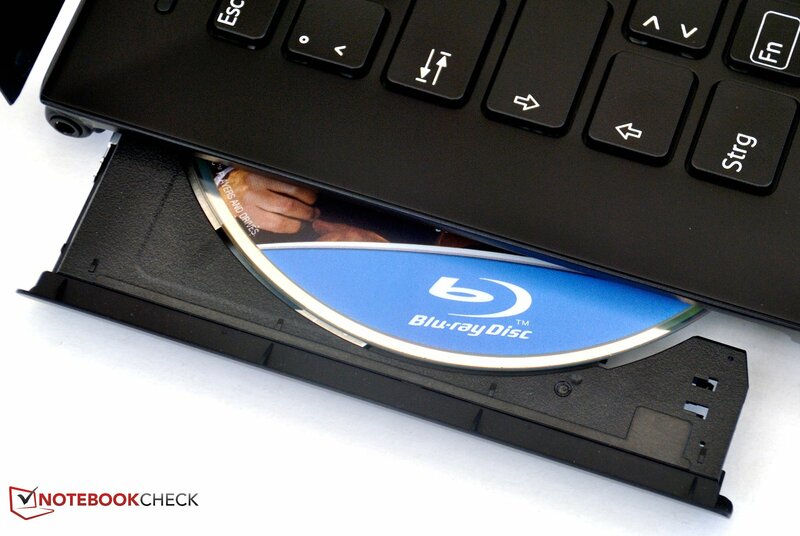 Blu-ray films can be viewed with the integrated drive and the older PowerDVD 9 comes pre-installed. 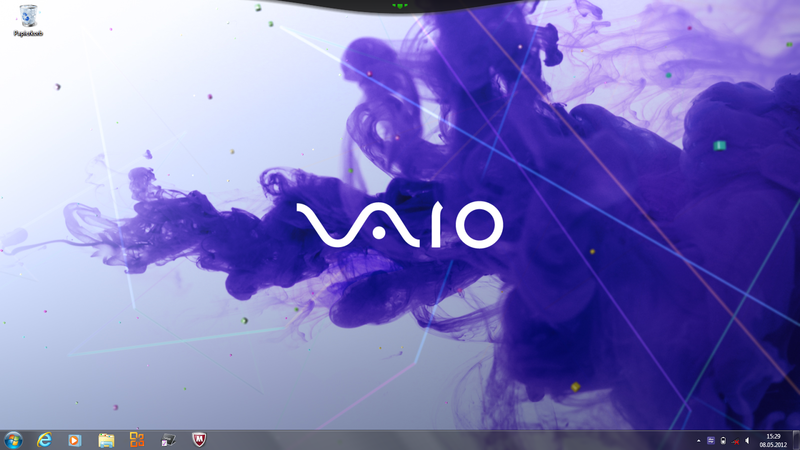 Sony has installed a special feature in the VAIO, a program dock, placed at the top of the screen, which drops down when the cursor hovers over it. This bar is an alternative to the "Start Menu" and includes all the pre-installed programs. 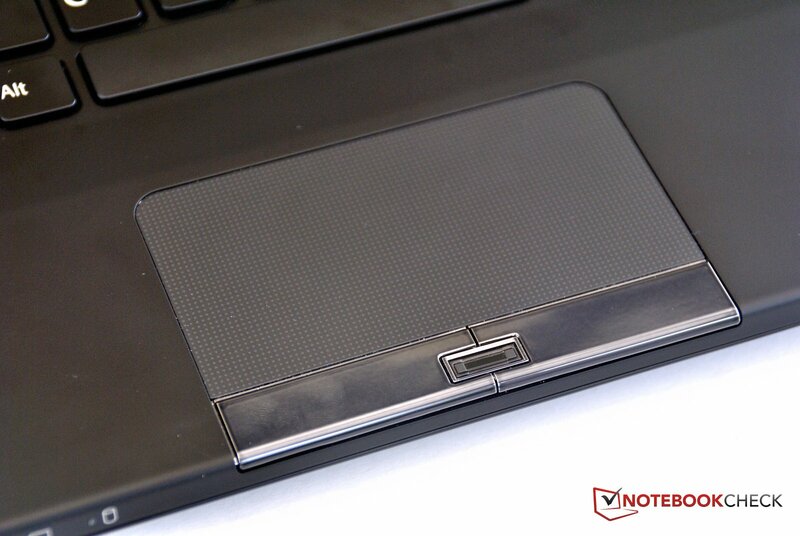 The bottom of the laptop has two interfaces: one for the docking station and the other for a second battery. The docking station costs EUR 150 (~$185) and offers four additional USB 2.0 ports, a HDMI interface, a VGA port, two Gigabit LAN ports, a Kensington Lock and the power in. The second battery also costs 150 Euros and has the same capacity as the built-in battery. It is supposed to double the battery life. In addition, Sony advertises a replacement battery which can be swapped in when the main battery drains out. This alternative saves us EUR30 in comparison to a second, external battery, but is impractical in everyday use, as two small screws need to be removed to take off the flap hiding the battery. The large flap hides the RAM modules and the battery. The hard disk can also be swapped out, but it requires a complicated procedure which includes the removal of various flaps and screws. The guarantee lasts 12 months. If the laptop is registered at Sony, then the guarantee is extended to 24 months (from the date of purchase). The keyboard has a chiclet design. 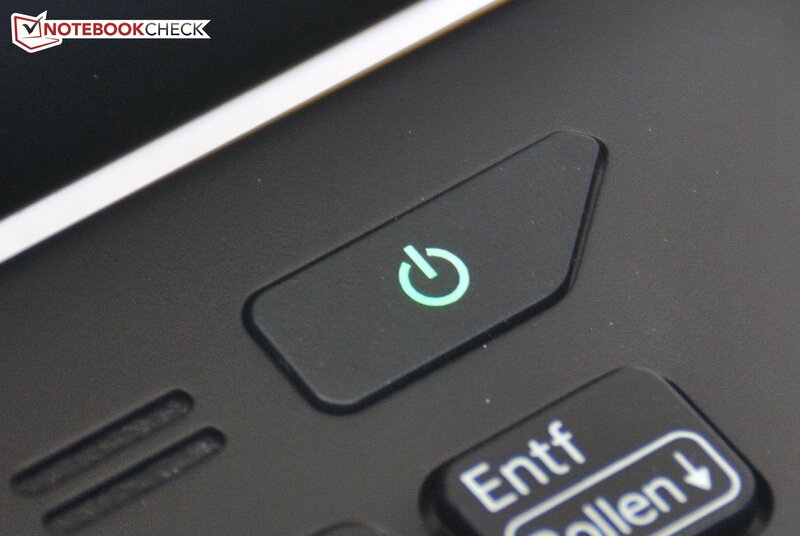 The keyboard is backlit which means that the user can work even in the dark. The cursor keys are placed slightly forward. The keys are quite hard to press down but the pressure point is tangible. The stroke distance is short but thanks to a clear feedback, the user always knows when a key is recognized. Typists who wish to work long hours on this model will be happy with the keyboard. The multi-touch touchpad measures 97 mm x 50 mm which is quite large. It feels and looks good and is bordered by the hand-rest regions. The surface is smooth and has good sliding properties. All movements are accurately translated to cursor movements. The multi-touch function includes turning, zooming, back and forward swipes. Scrolling can be executed with a single finger at the edge of the touchpad and the user can make circling movements to keep scrolling, instead of having to move his finger back up after reaching the bottom of the touchpad. The mouse keys look cheap. The stroke distance is far too short and there is no clear feedback. At the edges, the keys do not respond at all. This is far too poor a performance for such an expensive subnotebook. 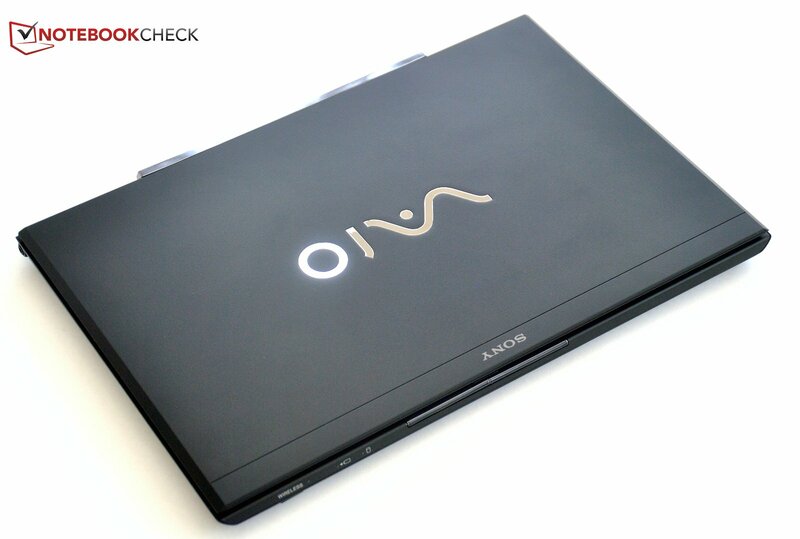 The user will discover various additional keys all over the VAIO, which allow the user to quickly access important functions. 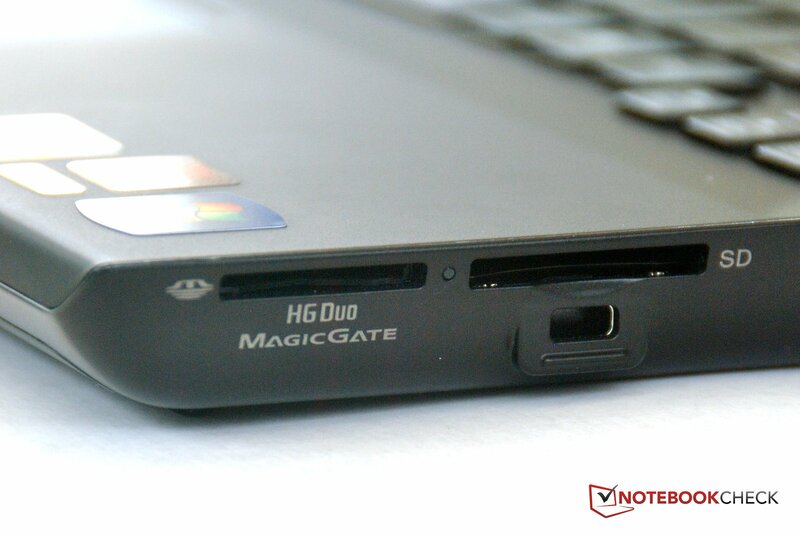 The optical drive cannot be opened from the side where it is placed, but instead via a key placed above the Escape key. To the right, a switch allows the user to switch the power plans and switch the AMD graphics card on or off. 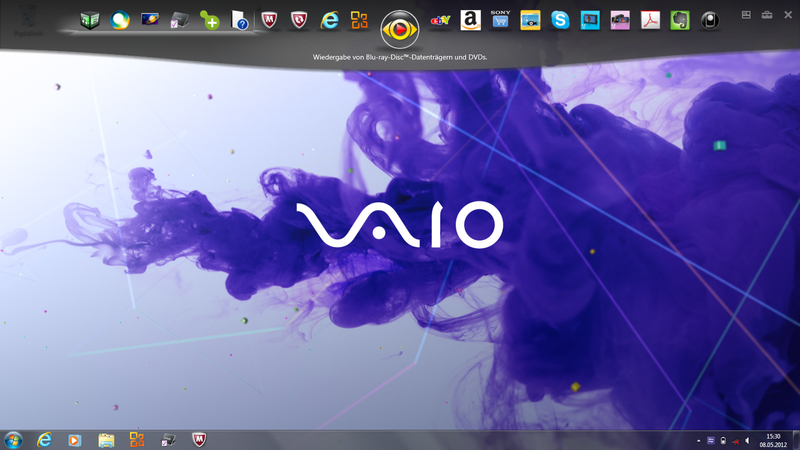 Further right, two buttons start VAIO Care and the Internet browser. 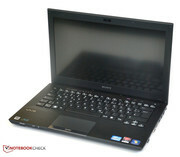 In addition, a "VAIO" key is also placed on the laptop and can be configured to launch a certain program. At the front on the left, we have a switch which flips the wireless modules on or off (WLAN, Bluetooth and UMTS). The technical specifications of the display looked promising. It is a 13.3 inch Sony panel with a 1600 x 900 resolution. 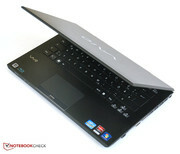 It is also anti-glare and, due to the high laptop price, we expected it to have great numbers. But the user is going to be severely disappointed by the woeful screen. The average brightness of a mere 252 cd/m² is modest at best. The illumination is very good and the low brightness is well distributed over the screen. However, the high black value of 1.6 cd/m² is very poor and makes black look dark-grey. As a direct result, the contrast is also poor at 160:1, and the panel looks pale. 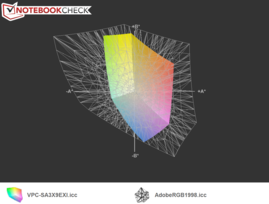 The AdobeRGB color spectrum and the less comprehensive sRGB spectrum are not covered by this panel. Full coverage is only important when viewing pictures, graphics or editing videos, but this is still a flaw of the screen. The panel is workable in brightly lit areas where the anti-glare screen doesn’t disappoint, even with the relatively low brightness values. The panel does not have annoying reflections, but sadly, under direct sunlight, it is not bright enough for the on-screen content to be legible. ... the display is too dark. The viewing angles remind us of cheap consumer panels. A slight vertical adjustment can make the colors of the displayed content invert or darken/brighten till it becomes very pale. However, horizontal viewing angles are decent. The Sony VPC-SA is available in a variety of configurations. The user can customize the laptop in the Sony Shop. The pricing starts at EUR 930 (~$1150) and can go up to EUR 2,700 (~$3350)(best hardware). The model uses CPUs of the Sandy Bridge family: Core i5-2450M, Core i5-2520M and the Core i7-2640M. The performance of each processor is pretty good and should suffice for video editing and CAD programming. Sony has picked the HD Graphics 3000 IGP (Integrated Graphics Processor) and the AMD Radeon HD 6630M (1 GB memory) for graphics. 4 GB of DDR3 RAM is securely soldered onto the mainboard. An empty slot gives the user the option of installing an additional RAM module (2 GB or 4 GB). Sony only offers SSDs as storage devices for the VPC-SA, as the available space in this notebook, is sufficient for two 1.8 inch drives. The user can pick one of the following configurations: 1 x 128 GB, 2 x 128 GB, 2 x 256 GB and 2 x 512 GB. The last option (1 TB storage space) will push the price up by about EUR 1000 when compared to the cheapest option. The user is also provided with the choice between a standard DVD burner and a EUR 370 (~$460) Blu-Ray burner. The UMTS module costs an extra EUR 70 (~$90). Our model, the VPC-SA3X9E/XI, is equipped with the powerful Intel Core i7-2640M. This processor runs at a standard speed of 2.8 GHz which can be increased up to 3.5 GHz (1 core) using Turbo Boost. This is especially useful when running programs which only require high single thread performance. If the processor is hardly used, it clocks down to 800 MHz and thus saves power. In Cinebench, a 3D scene is rendered for a period of time. In this benchmark, the CPU performed slightly lower than its identical brothers in other notebooks. This is probably due to the weaker cooling. The score of 3.1 points in Cinebench R11.5 places it above the VPC-SA2Z9E/B (3.03 points), which is equipped with the weaker Intel Core i7-2620M. The PCMark benchmark measures the overall performance of the system with a variety of practical and close-to-everyday tasks. In this benchmark, the VPC-SA benefits from the fast processor, dedicated graphics card and the SSD. 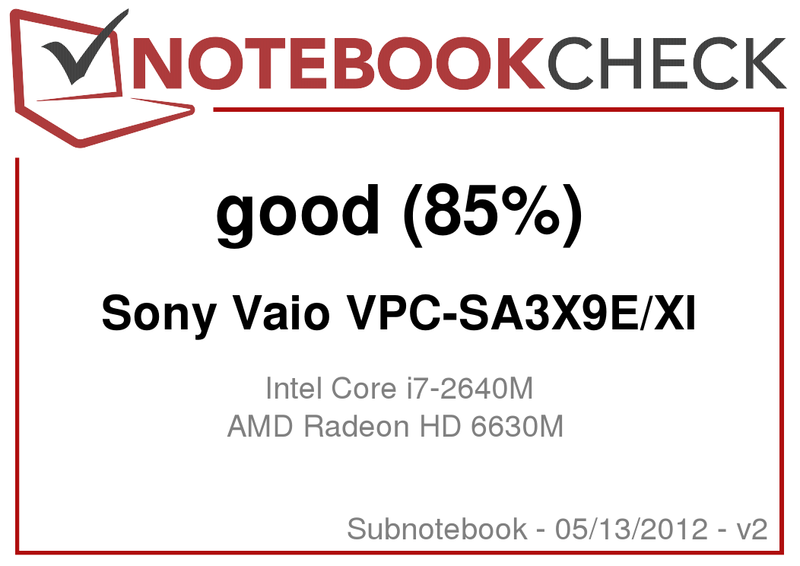 The Sony VPC-SA places slightly above the Thinkpad T420s in PCMark 7 (also equipped with the Core i7-2640M) with a score of 3,389 points (T420s - 3,312 points). The predecessor, the VPC-SA2Z9E/B, is equipped with a Core i7-2620M and scores slightly higher than the VPC-SA3X9E/XI (3,446 points) thanks to RAID 0 SSDs. 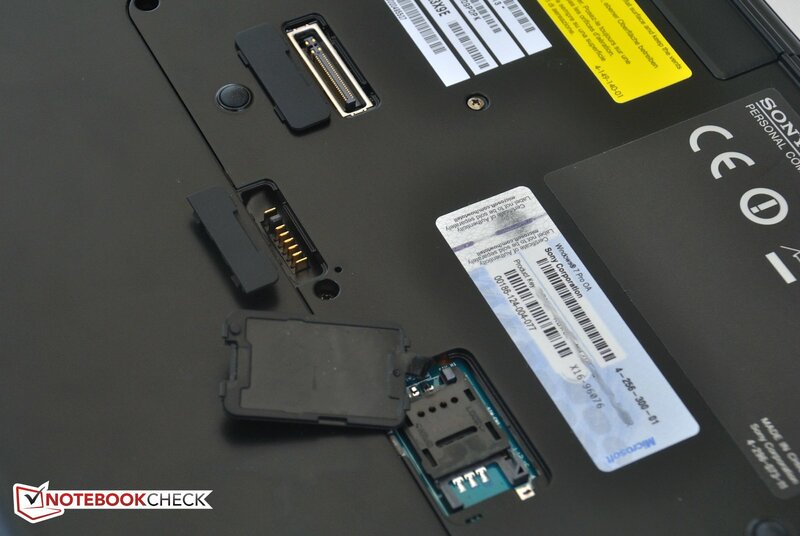 The SSD in our test model is the THNSNC128GMMJ made by Toshiba. It has a capacity of 128 GB and has the 1.8” form-factor. The drive has no case and is built into the subnotebook. The VPC-SA2Z9E/B offered an optional RAID 0 system with two 256 GB SSDs. This system could deliver amazing speeds of 868 MB/s in sequential read. The built-in Toshiba SSD can "only" manage 190 MB/s, which is an acceptable value, and is superior to a standard HDD. SSDs also have much quicker access times than HDDs. The THNSNC128GMMJ has an access time of 0.266 milliseconds in sequential read. The dedicated AMD graphics has 1 GB memory and is called the Radeon HD 6630M. 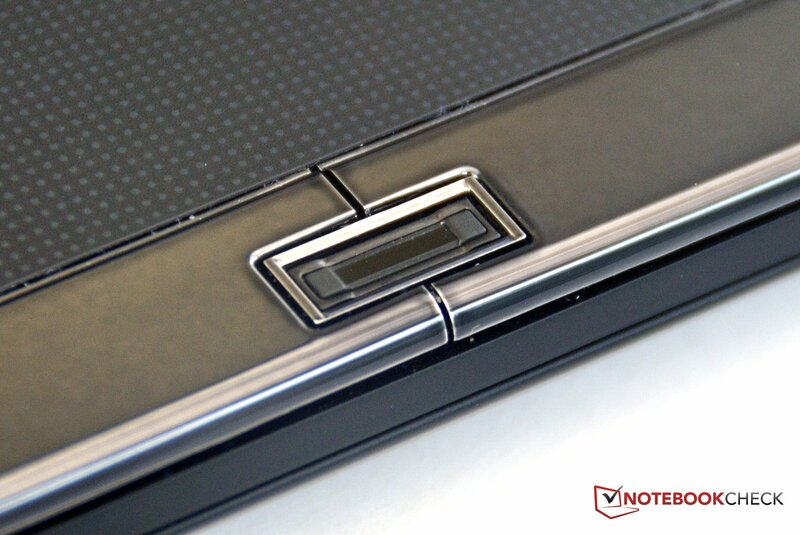 A "Speed" switch at the top of the notebook allows the user to switch the card on or off. However, not all programs support this switching technology and the laptop must be restarted. In 3DMark, the VPC-SA performs slightly slower than other notebooks with the same graphics card. This is probably due to the slim build of the VAIO, which prevents optimal cooling. In comparison to the popular Nvidia GeForce GT 540M, the AMD Radeon HD 6630M performance numbers are lower. We tested whether the laptop had enough performance to run the latest games. We ran Battlefield: Bad Company 2 and Dirt 3 on the test model, and it performed quite well. In Battlefield, the laptop can perform at 40 frames per second at medium settings and gameplay is quite fluid. High settings can sometimes drop the frames to a stuttering 15 fps. In full HD with high settings, the laptop can no longer run the game at playable frame-rates. Dirt 3 could be depicted fluidly even at high settings. The problem arose in full HD at high graphics settings. At this level, the VPC-SA can no longer run the game. Additional benchmarks for the graphics card can be found in our benchmark list. The high performance hardware requires good cooling. 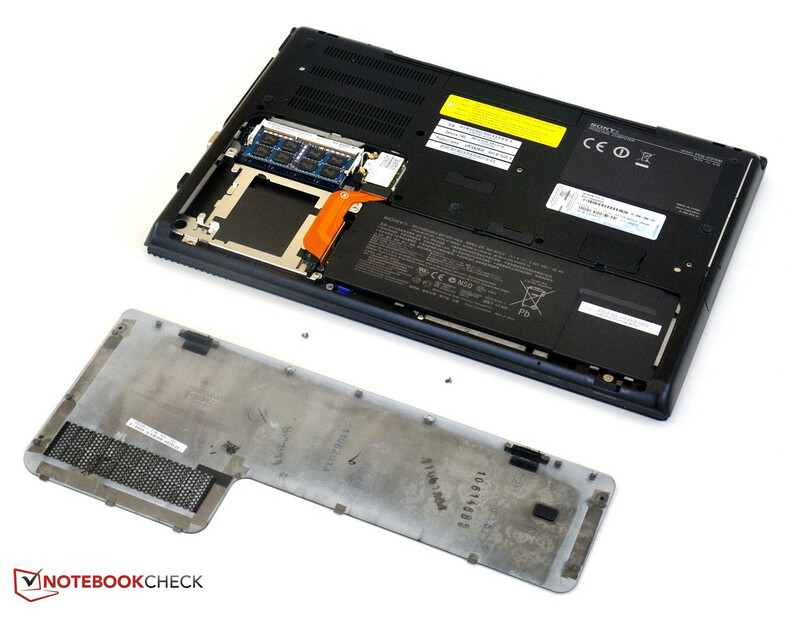 However, the slim build of the laptop prevents optimal cooling. This means that the Vaio has a very loud fan. While idle, the VPC-SA is comfortably quiet at 32 dB, but while playing a DVD, the optical drive keeps turning on and off, and the emission of 38.5 dB can disturb the user. 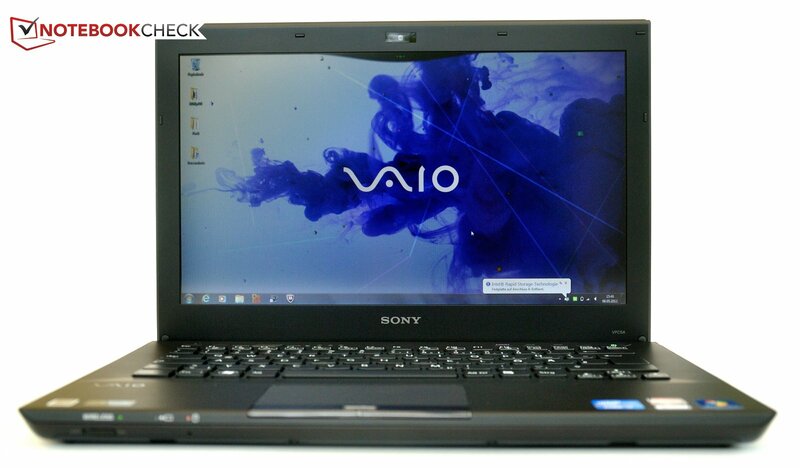 At load, the Sony laptop emits a constant and loud noise that measures 48 dB, and works hard to take care of the heat emissions. When idle, the subnotebook remains cool enough to use on the lap. At the bottom, near the hinges, it can heat up to 35°C. The hand-rest regions stay comfortably cool at a maximum of 28°C. At load, the notebook should be placed on a table. 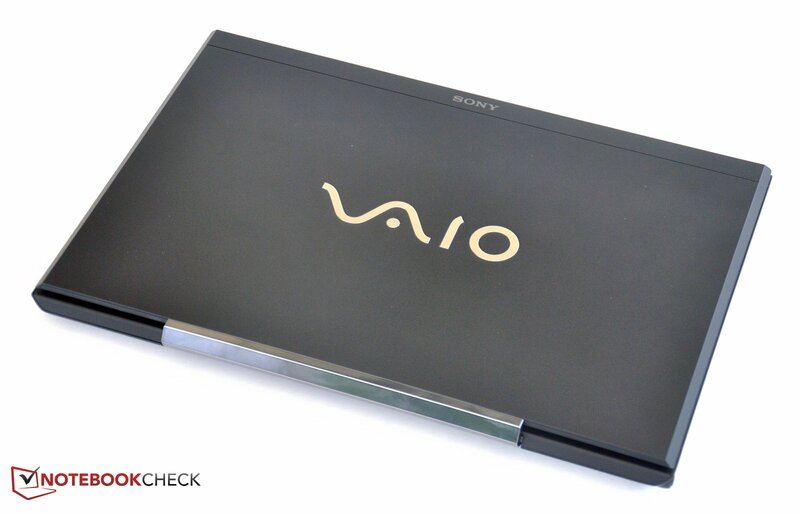 The bottom of the VAIO can reach up to 55°C. The hand-rest regions remain bearable and reach a top temperature of 32°C. In the stress test, we ran the processor and graphics for one hour at full load. 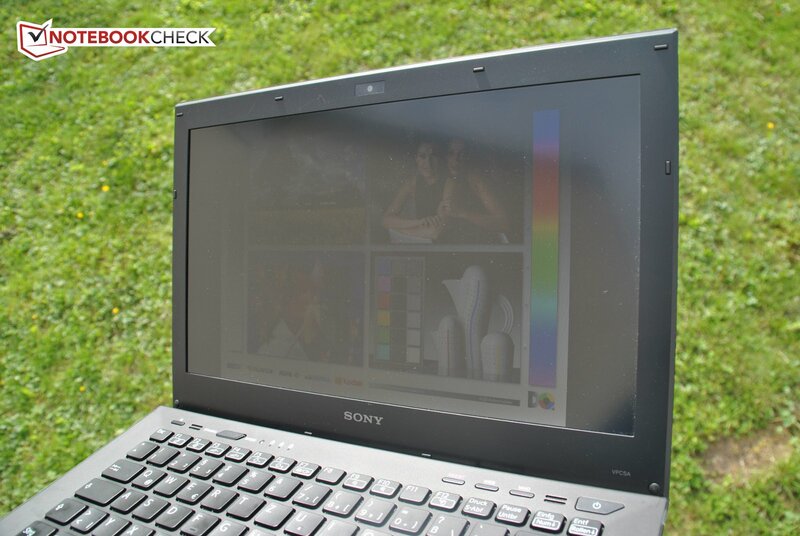 This test shows if the laptop has sufficient cooling to provide full performance. Sadly, the VPC-SA fails this test quickly. The temperatures remain in the green region for the CPU (96°C) and the GPU (86°C). However, the clock speed of the Core i7 throttles down to 2.2 GHz and remains under the standard clock speed of 2.8 GHz. The Turbo Boost increase up to 3.3 GHz is no longer tangible in this case. The built-in speakers are not very loud, but they are not too quiet either. The speakers have no bass and the high notes are quickly distorted. However, to view a short video, these speakers are sufficient. 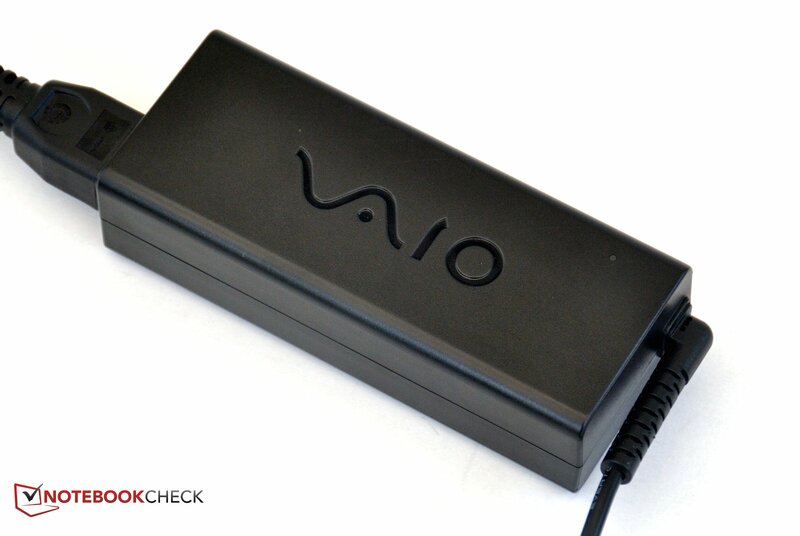 The VAIO's power needs depend strongly on the use of the system. While AMD graphics is off, the power consumption remains around 17W, thanks to the power-saving measures of the Intel Core i7, which clocks down to 800 MHz while idle. When the AMD Radeon is turned on and the processor is running at its standard speed (2.8 GHz), the laptop consumes between 60 – 65W. The VPC-SA is not very conservative in standby mode where it consumes 1 W, which is relatively high for a subnotebook. 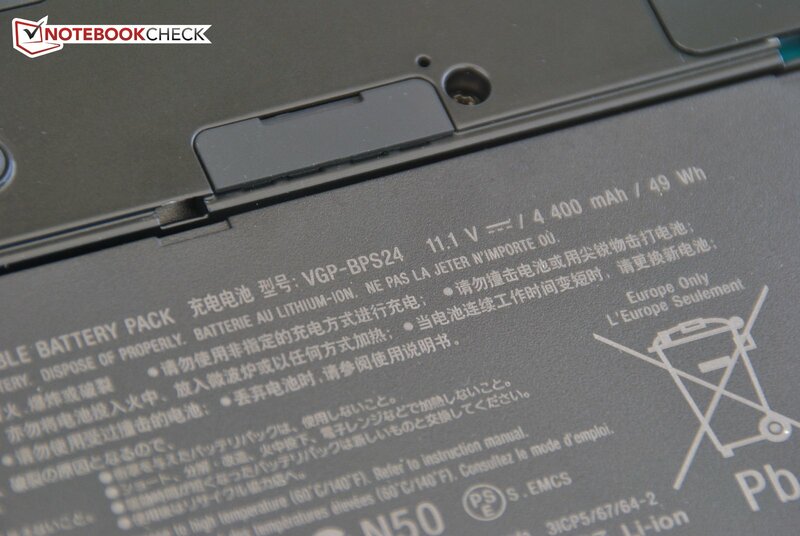 The VPC-SA has a Lithium-Polymer battery (49 Wh). With "Power Saver" mode, low brightness and WLAN and AMD graphics turned off, the laptop can last 8.5 hours (maximum run time). The WLAN surf test is more realistic. In this test, the laptop is allowed to run a few web pages using WLAN at a brightness of 150 cd/m². The laptop lasts 3 hours and 41 minutes in this test. This may be a bit too short for most users. The VAIO can even be used to watch very long movies. The VPC-SA lasts 3.5 hours while watching a DVD. Playing a Blu-Ray film can reduce this time to 2.5 hours, which may be a bit short for a few movies. The Battery Eater Classic test is run at load (brightness set to max and "High Performance" mode) so as to measure the shortest run time. The laptop manages to squeeze out a good hour. The performance of the VPC-SA drops slightly is battery mode. The laptop needs three hours to fully charge. 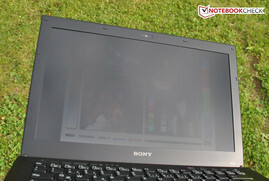 For EUR 1800, Sony delivers a subnotebook with good workmanship. The VAIO VPC-SA is relatively sturdy, but it could be better. The design is modern and attractive. 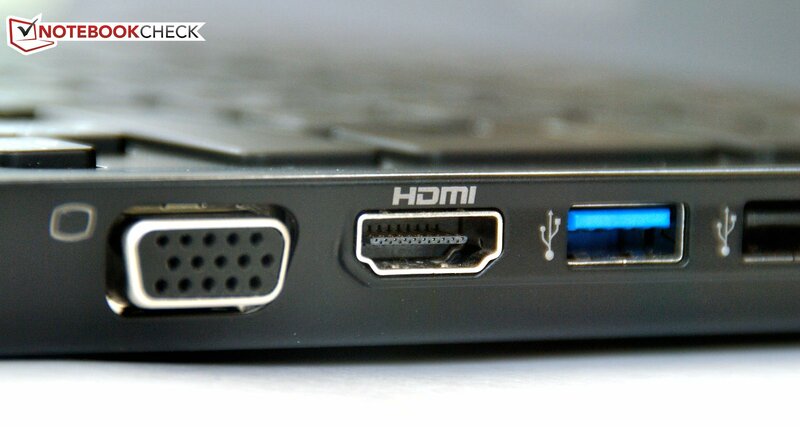 The right side houses a USB 3.0 port and HDMI and thus the connectivity complies with the latest standards. The wireless connectivity is also good, thanks to WLAN a/b/g/n and UMTS. Users, who require more interfaces, can purchase the docking station which mainly provides extra USB 2.0 ports. 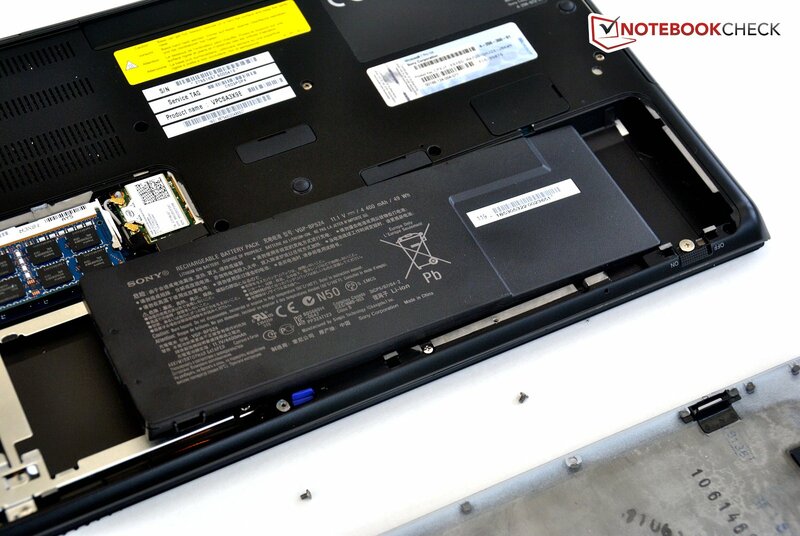 A second battery can also be connected to the Vaio at the bottom which doubles the run time. The backlit keyboard is comfortable to use and the multi-touch touchpad is well-sized. 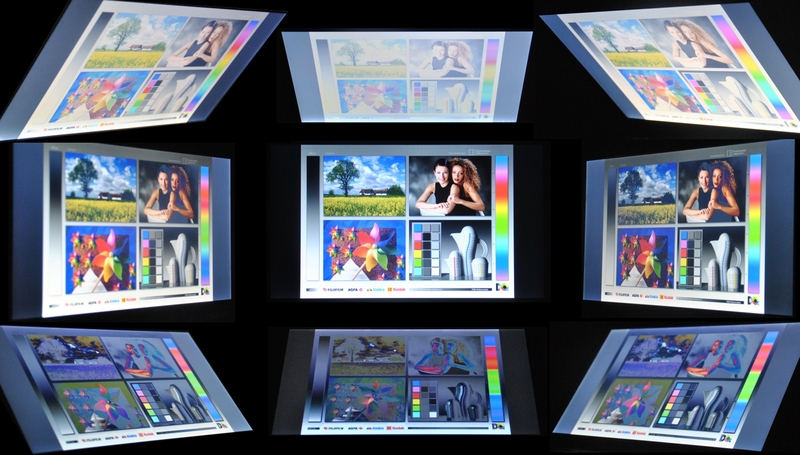 This is especially important as the display has a high resolution of 1600 x 900 pixels. 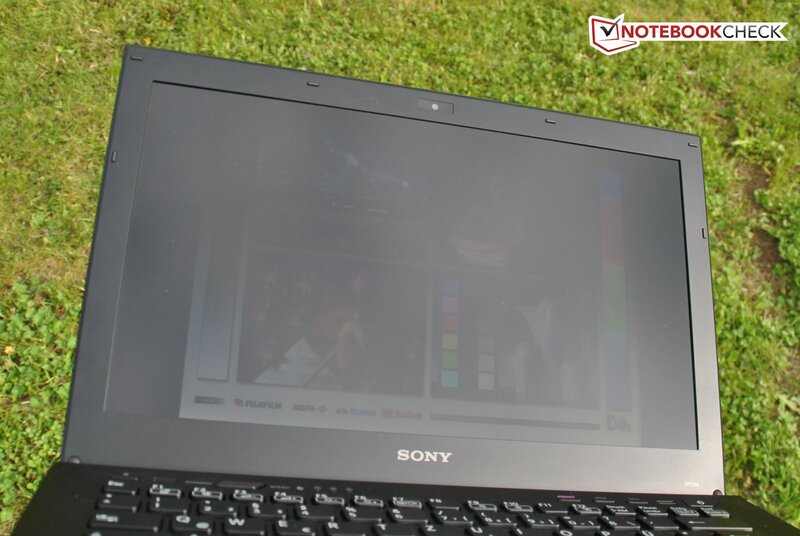 Unfortunately the anti-glare Sony panel has average brightness, poor contrast and low viewing angles. The performance of this test model is exceptionally high. 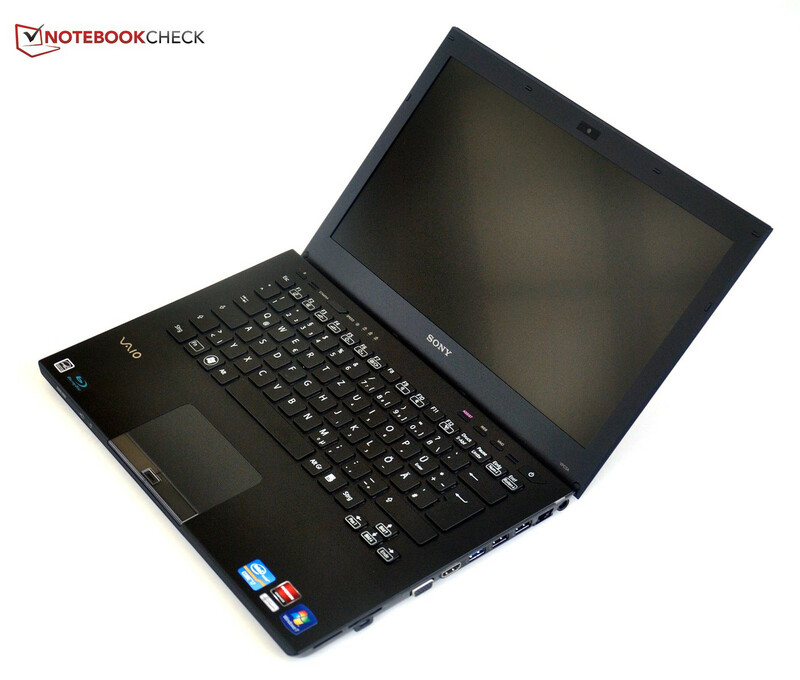 The notebook is equipped with a modern Core i7 processor and a dedicated middle-class graphics card from AMD. 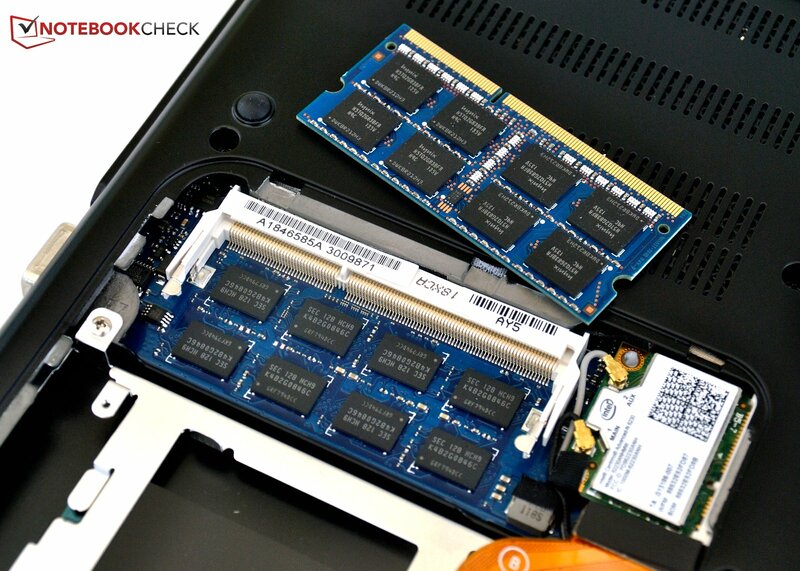 These two components work hand-in-hand with the SSD and deliver good results in all benchmarks. Sadly, due to the high performance, the notebook has to deal with high temperature emissions and due to this the cooler fan is quite large and loud. Despite the fan's best efforts to keep the laptop cool, the case still gets quite warm which causes the CPU to throttle down. The battery life is modest at 3.5 hours (surfing on the web). 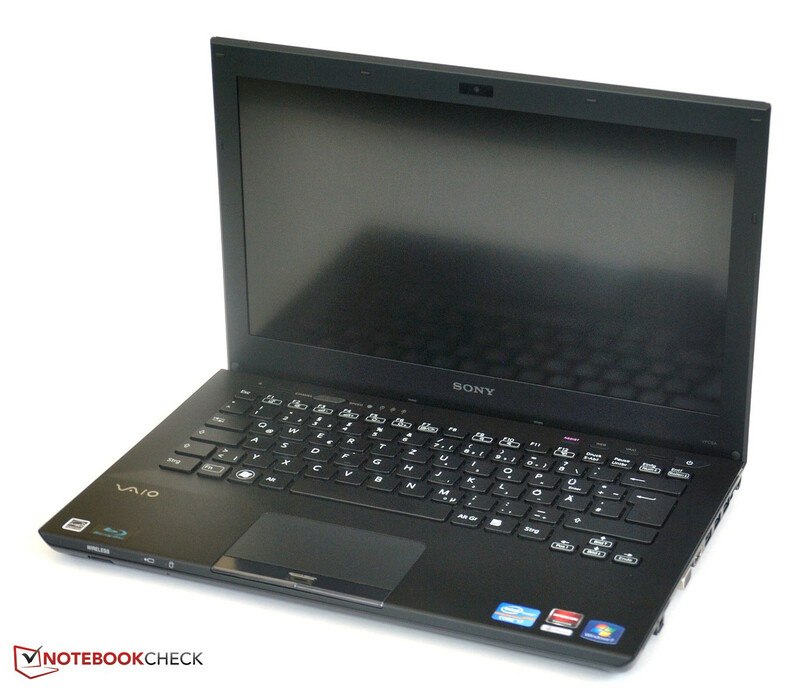 Overall, the Sony Vaio VPC-SA3X9E/XI is a well-rounded package, which includes high-quality components, but also costs quite a bit of money. 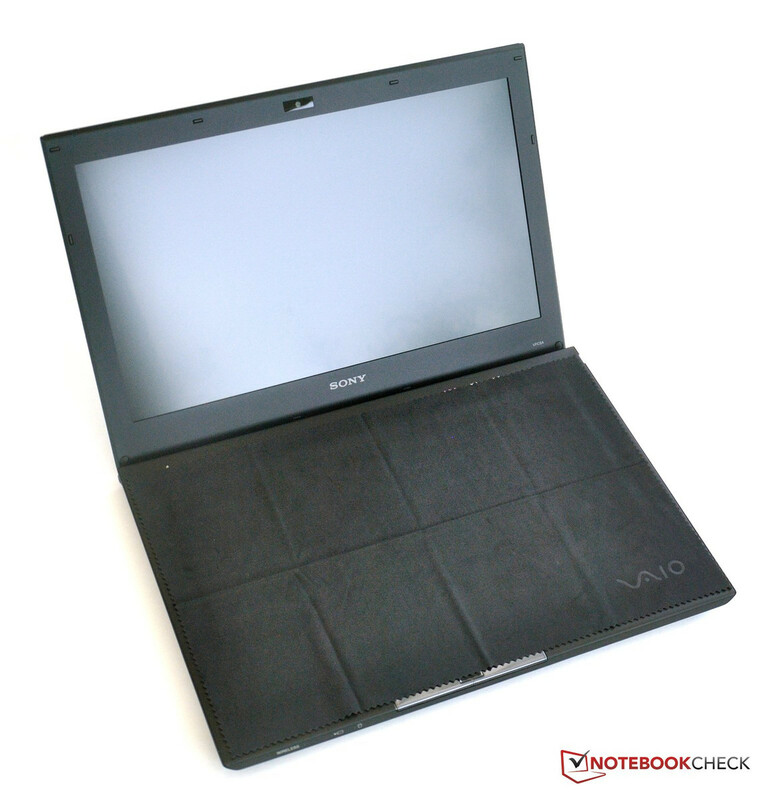 Buyers who want an attractive subnotebook with good performance will be happy with this VAIO. The Memory Stick has its own slot. ... the fast Core i7 2640M. ... the system can deliver good performance even for demanding tasks. The bottom has several flaps. From the top: Docking station, Battery extension and SIM card slot. Two small screws hold the maintenance flap in place. 4 GB RAM is soldered onto the mainboard, and an additional 4 GB RAM can be installed. ... and can be easily removed. The hinges are hidden behind a bar. ... and a modern design. ... the black cloth delivered with the model can quickly clean the surfaces. ... is equipped with a Blu-ray burner. The drive opens when you press here. The start button glows green. The AMD graphics switches on/off here. A fingerprint reader ensures security. The typical 1.3 MP webcam. The power adapter delivers 90 W and is more than enough for this notebook. The slim base and the low weight. A bright display with stable viewing angles. Such high performance packed into a small case and combined with an optical drive.